Historically, Beaupre Spring Creek likely ran through a cedar/spruce/tamarack forest that was cut away during the logging days in the early 1900s. 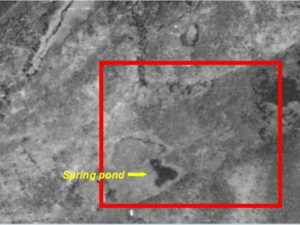 We believe that shortly after the cut-over, beaver moved into this area, feeding on the young growth of willow, alder and aspen. 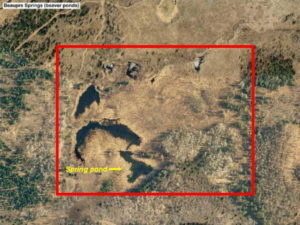 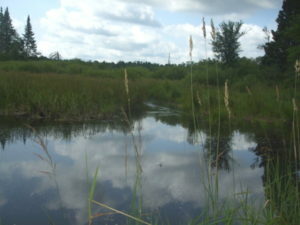 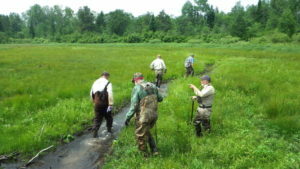 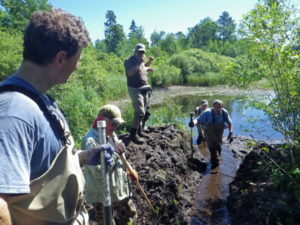 Long-time beaver occupation has severely degraded Beaupre Spring Creek’s trout habitat downstream from the spring pond. 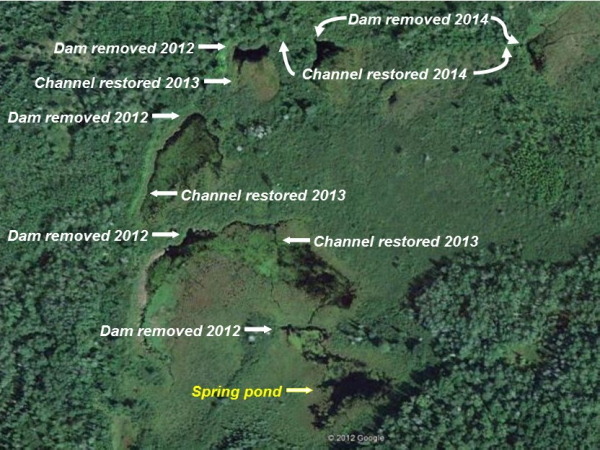 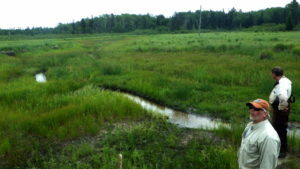 In fact, the channel below the lowest impoundment was dry at project start in 2012. This project is intended to reverse the long-standing losses by first gradually removing the dams and de-watering impoundments. 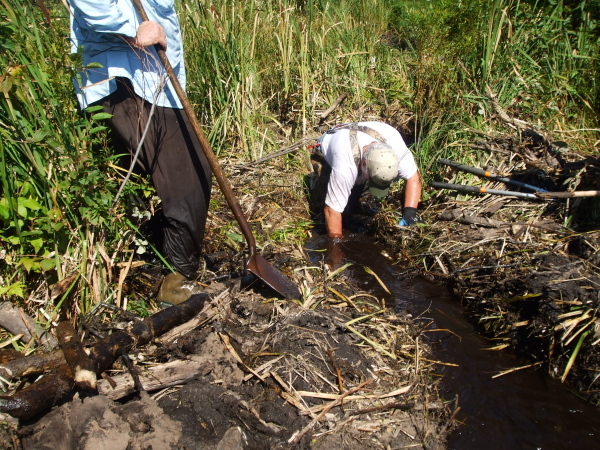 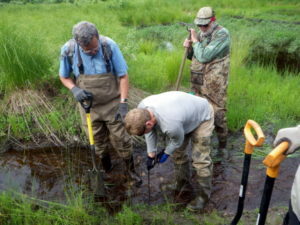 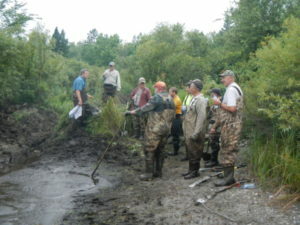 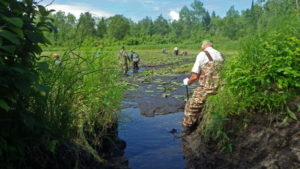 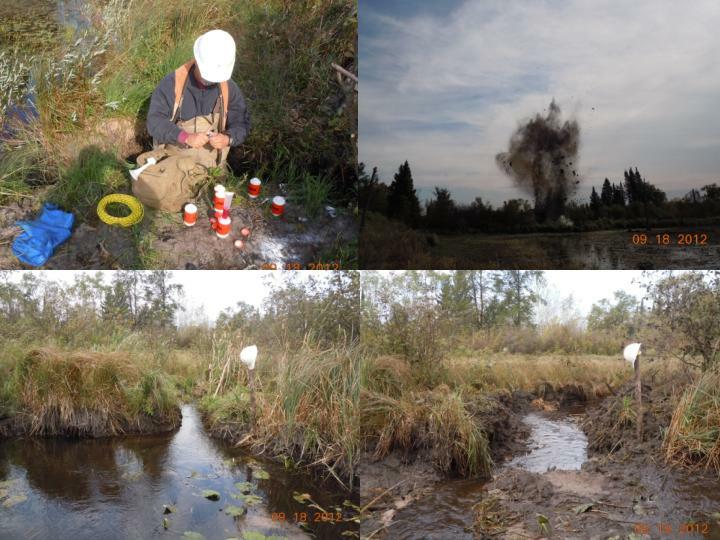 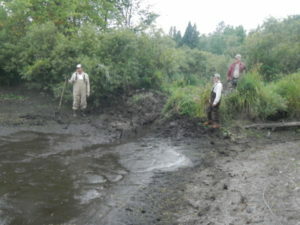 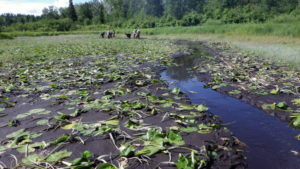 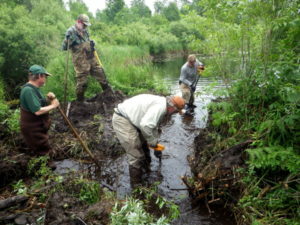 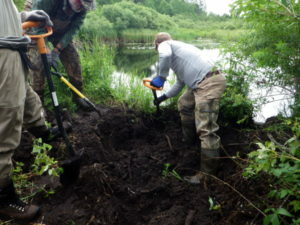 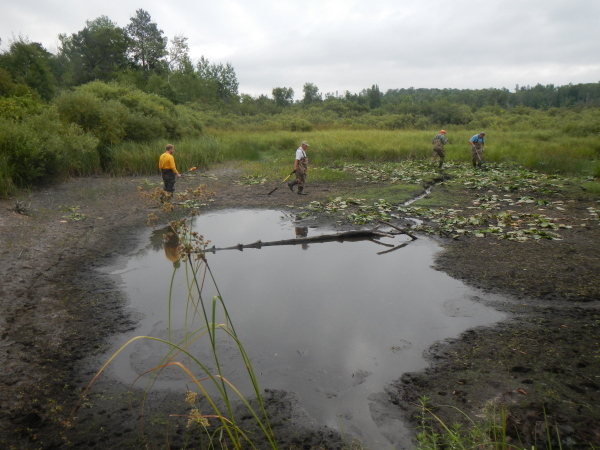 In 2013, we began to restore the flow through the old beaver impoundments by removing small woody debris plugs to begin the process of unburying and restoring the historic channel. 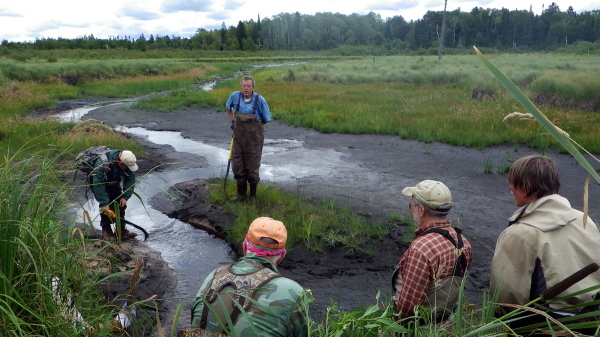 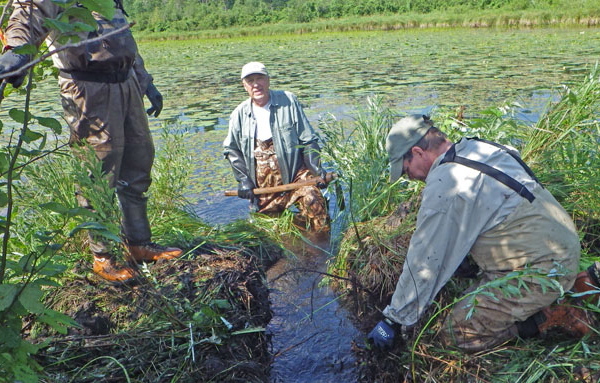 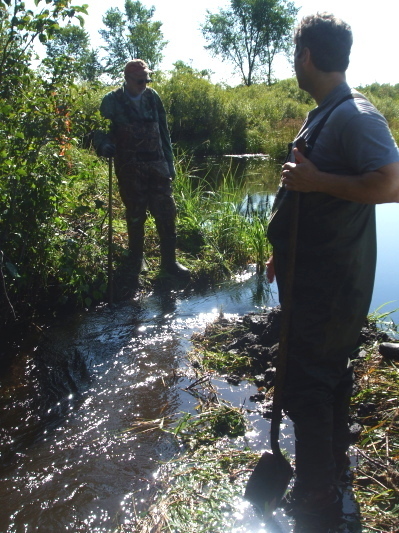 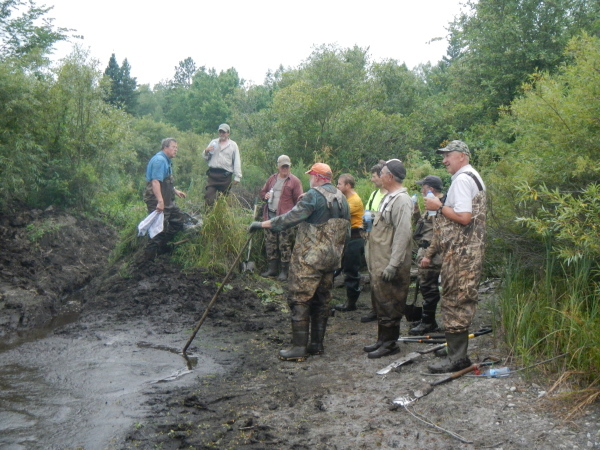 In 2014, we began removing beaver dams and restoring the channel on the much smaller unnamed east fork. 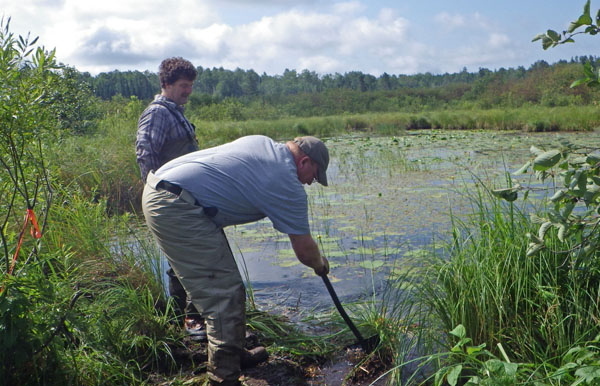 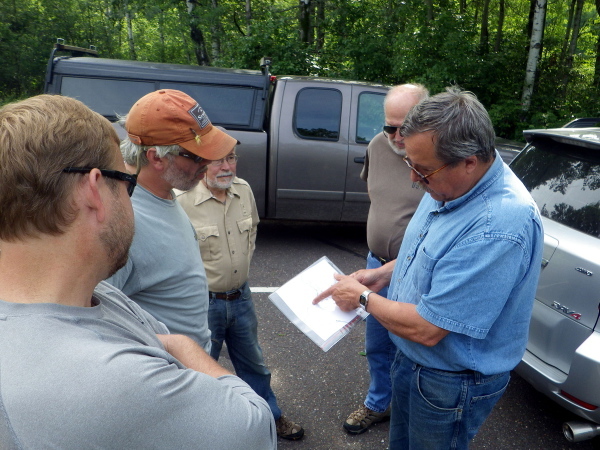 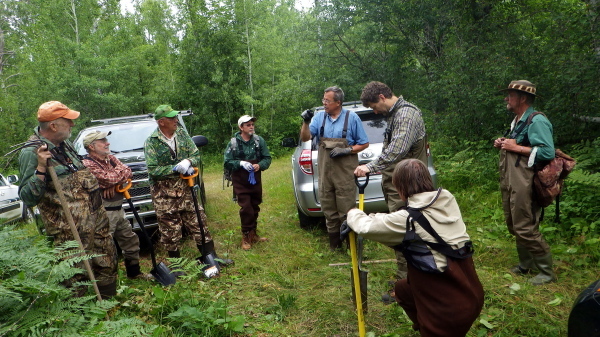 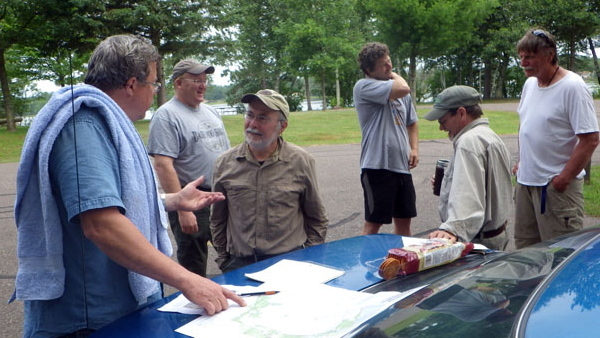 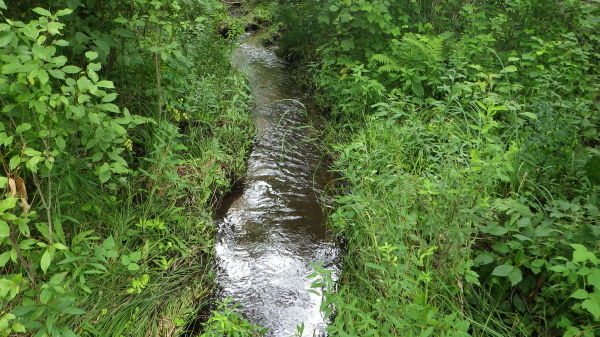 This work is expected to improve water flow and temperature entering the East Fork of the Brule. 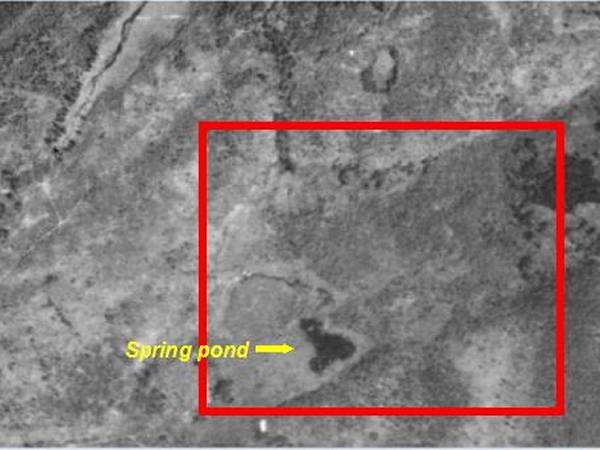 1930s photo showing only the spring pond. 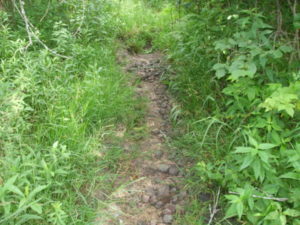 Dry stream channel in 2012. 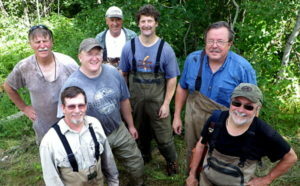 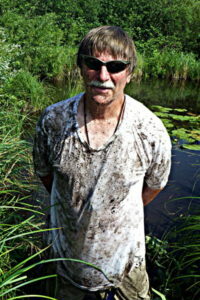 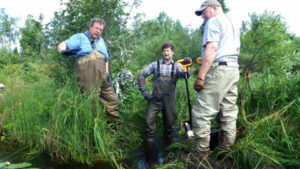 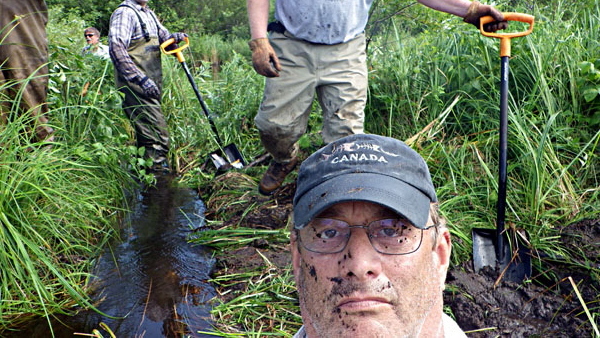 Dennis said we didnt need waders. 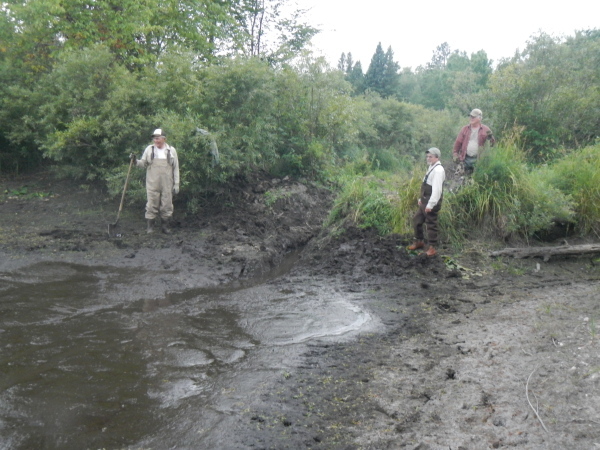 Flow reestablished into 1st pond. 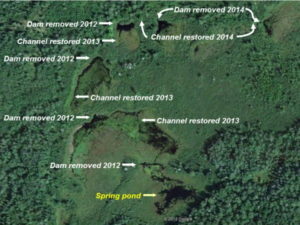 APHIS blasting larger opening in a dam in 2012. 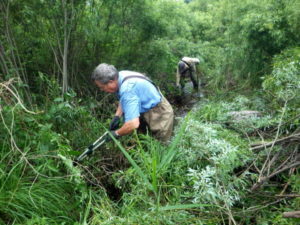 Restoring channel above 1st east fork dam. 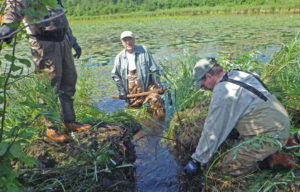 Last of water removed from 1st east fork dam.